A US citizen who verbally abused the President at Gorrie Street in Suva last Wednesday, was deported by the Immigration Department over the weekend. Director of Immigration Nemani Vuniwaqa says Karen Seaton was deported from Fiji after she breached the terms of her residency permit by yelling an obscenity at His Excellency the President last Wednesday. Vuniwaqa says this unprovoked use of the “F word" directed towards Fiji’s Head of State cannot be tolerated and Karen Seaton was subsequently detained and escorted onto a plane bound for the US. He also confirms that Karen Seaton’s appearance before a parliamentary committee had no bearing whatsoever on the circumstances of her deportation. Vuniwaqa confirmed to Fijivillage that Seaton was deported on Saturday after she was declared a prohibited immigrant by the Acting Prime Minister and Acting Immigration Minister. Seaton had a permit to reside here on assured income. 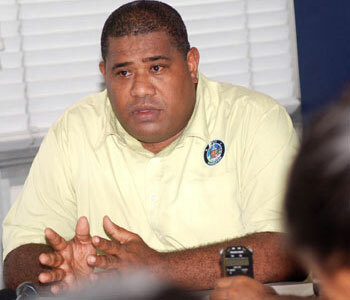 Vuniwaqa says the report was forwarded to the Police Commissioner and then to the Solicitor General’s Office. The Acting Prime Minister then made the declaration that she is a prohibited immigrant. The incident occurred during the opening of the employers’ hub at the Fiji Commerce and Employers Federation and the Fiji Hotel and Tourism Association building. The woman was shouting from the road while the devotion was underway before the opening of the employers’ hub. Police spokesperson Ana Naisoro had said that the woman was taken in, questioned and released as investigators tried to gather more statements. Naisoro said that it was alleged that she was shouting and swearing.